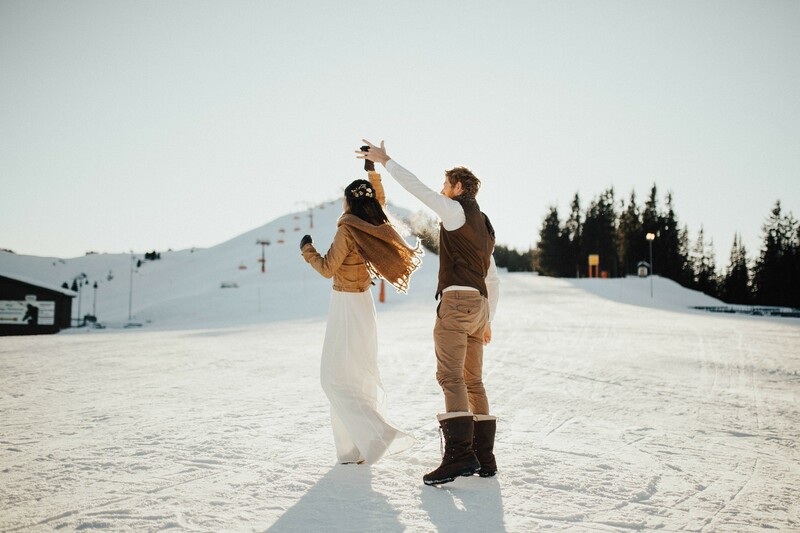 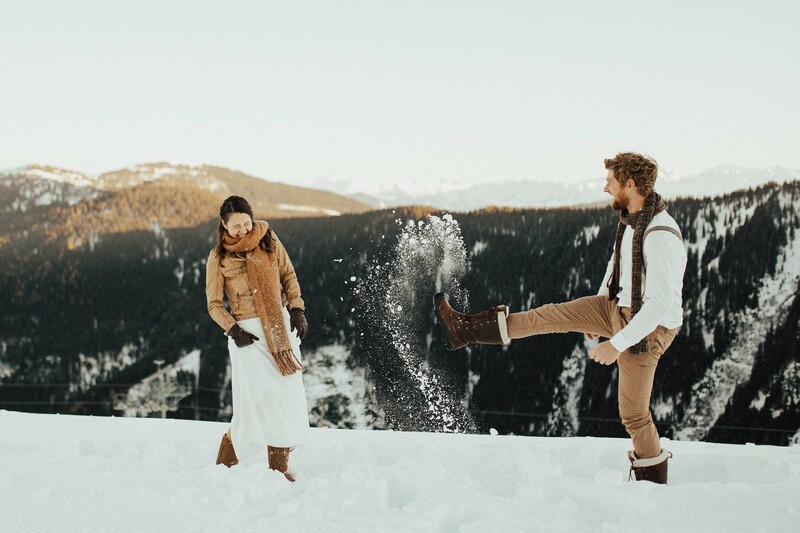 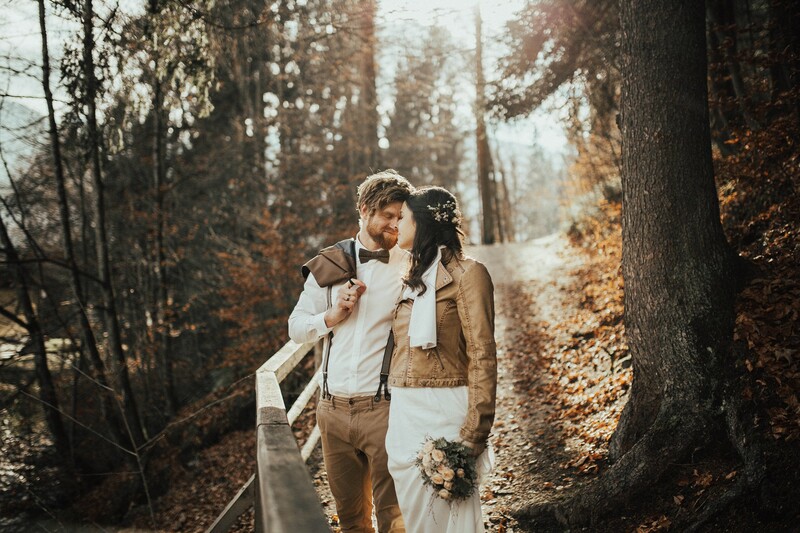 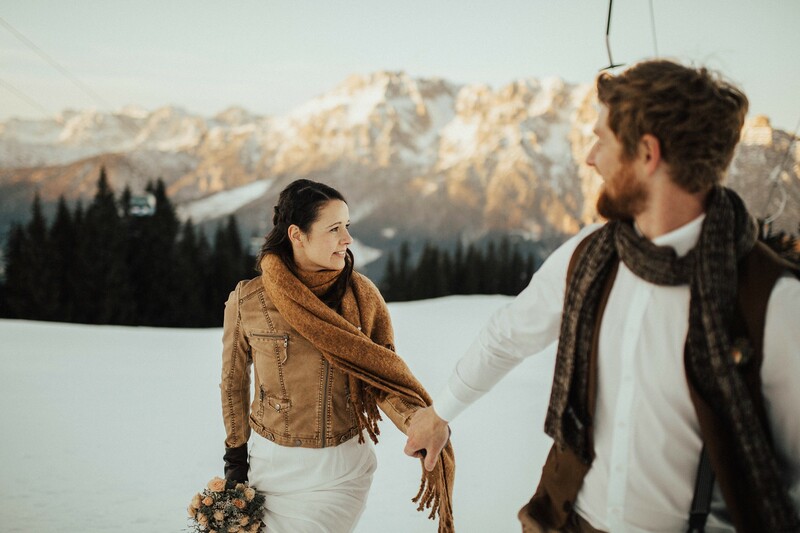 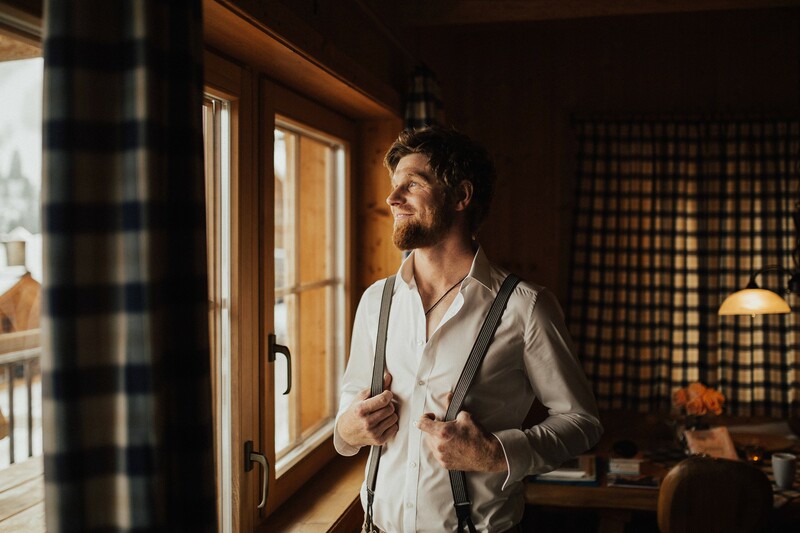 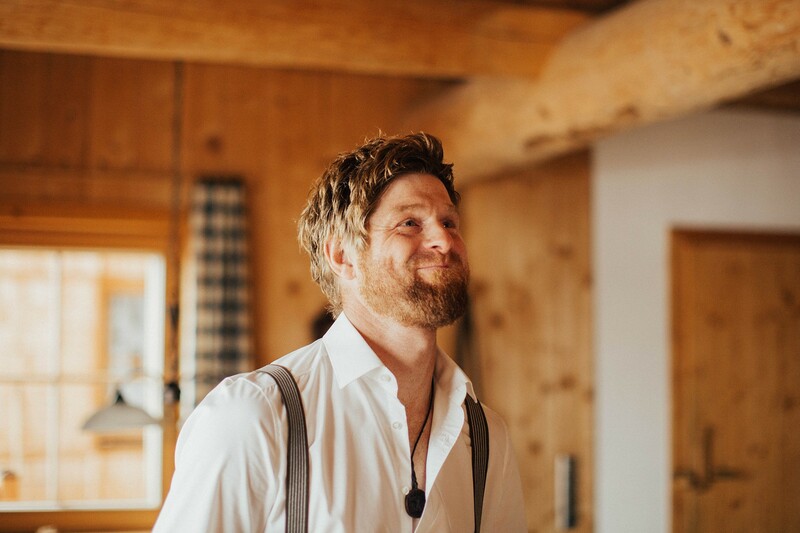 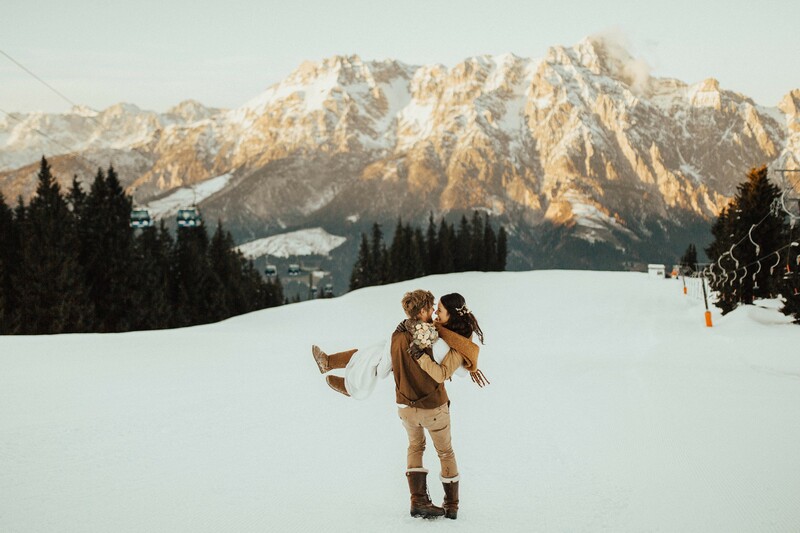 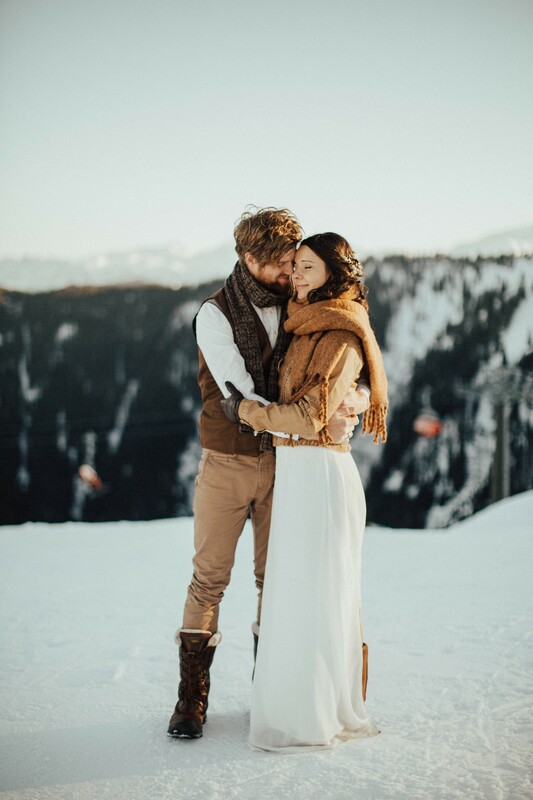 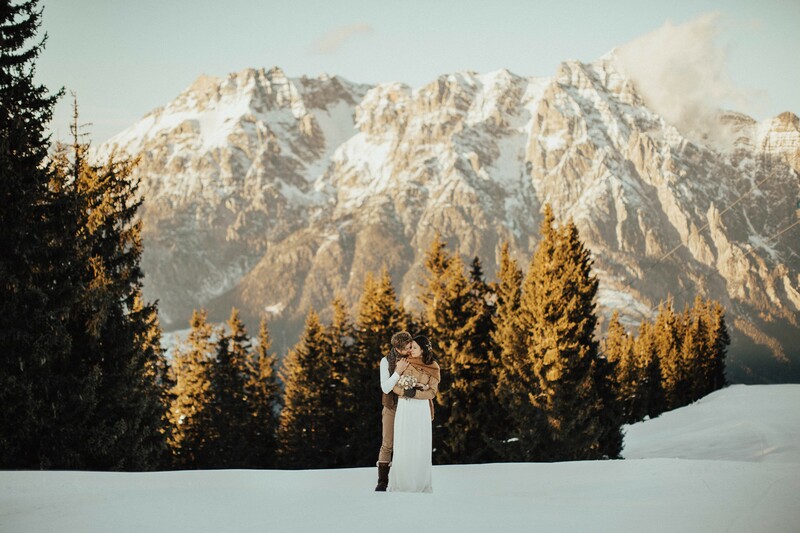 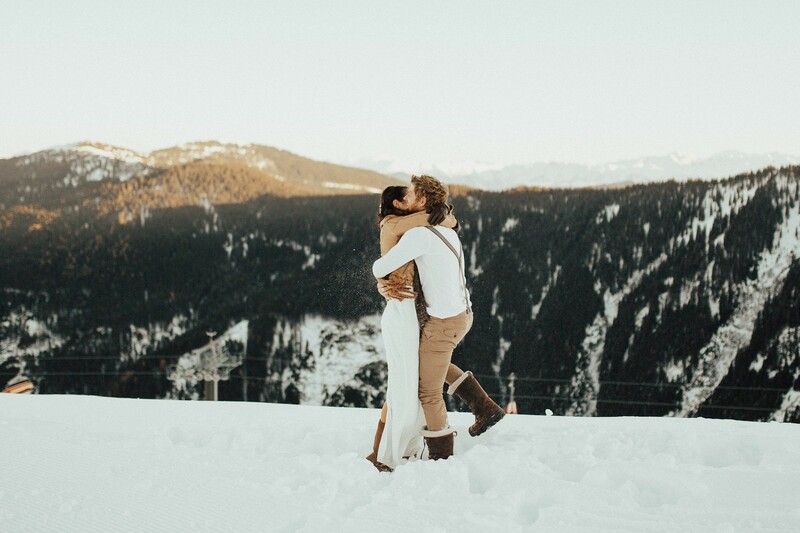 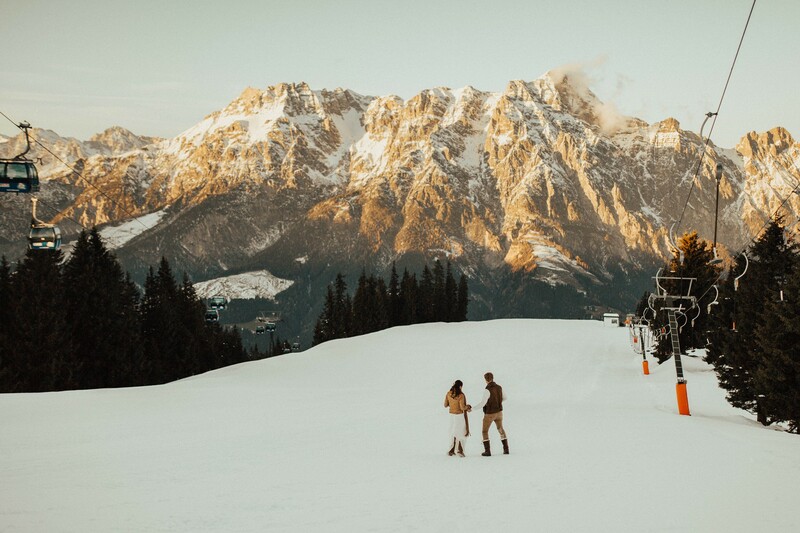 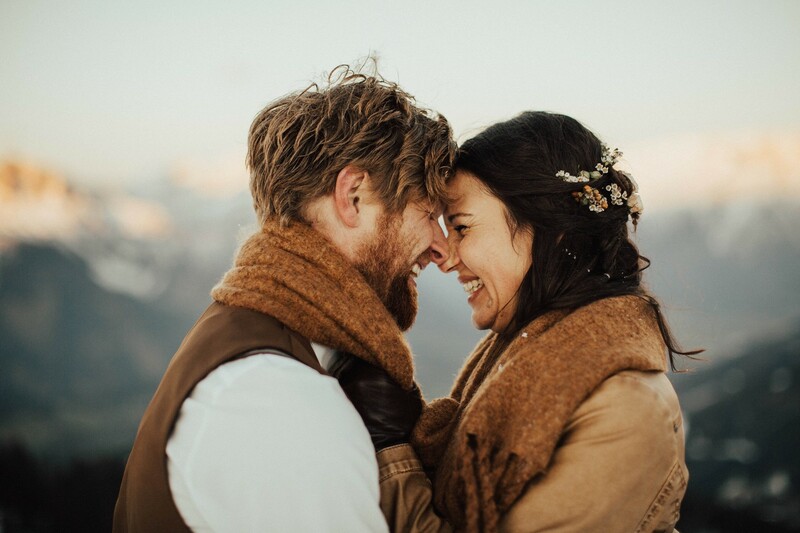 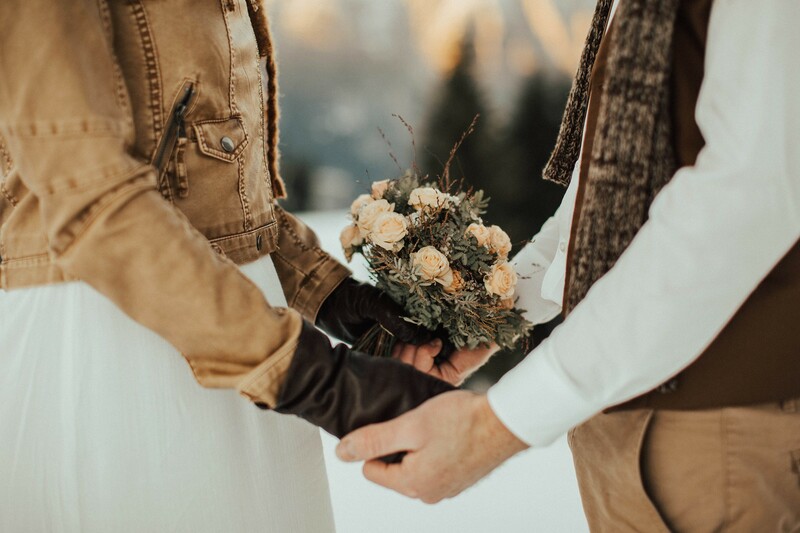 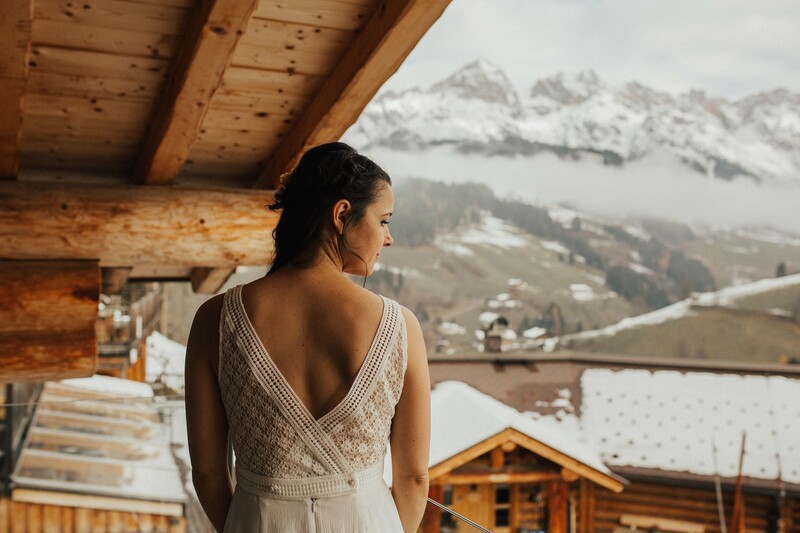 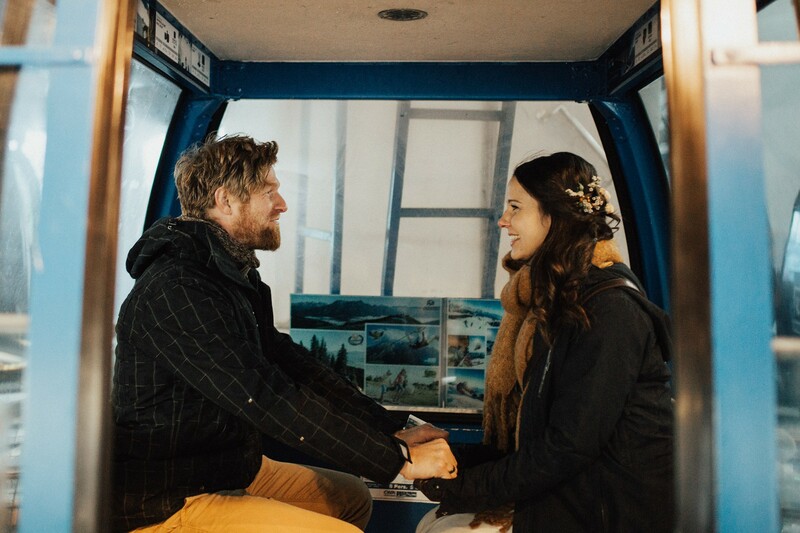 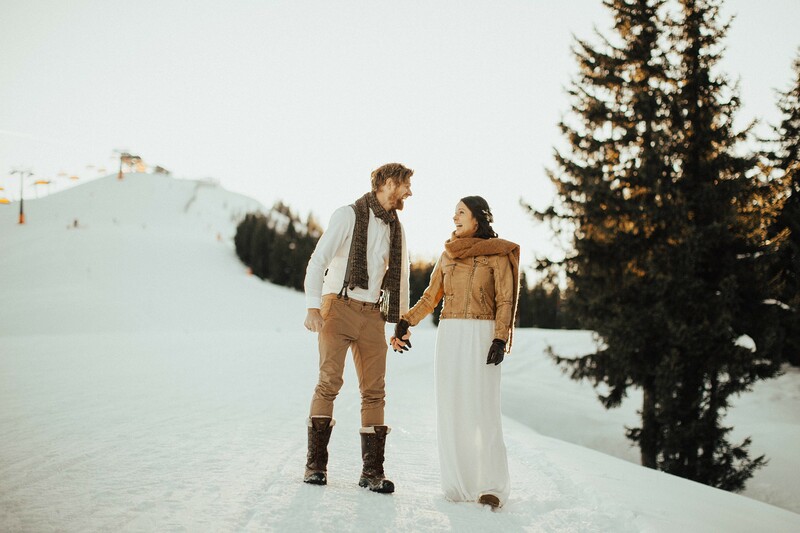 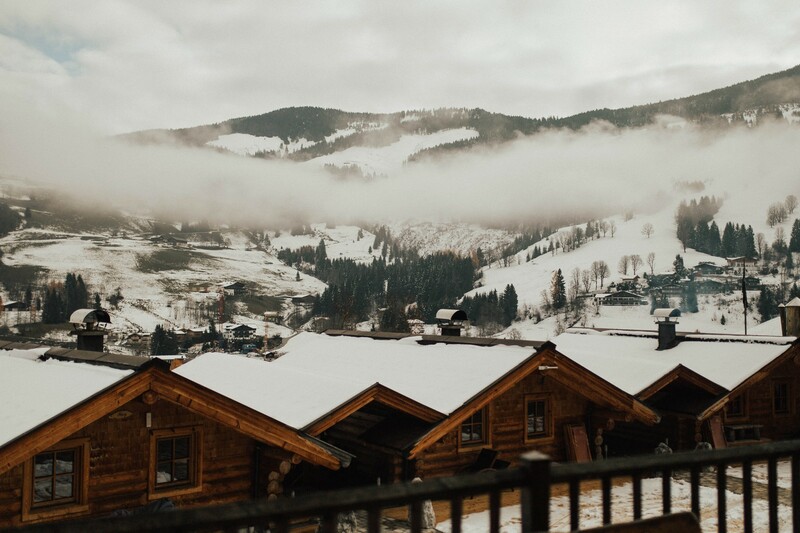 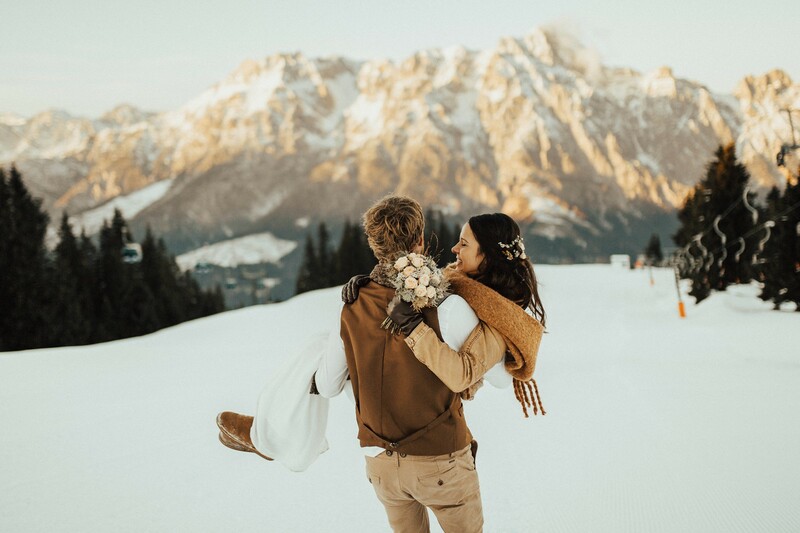 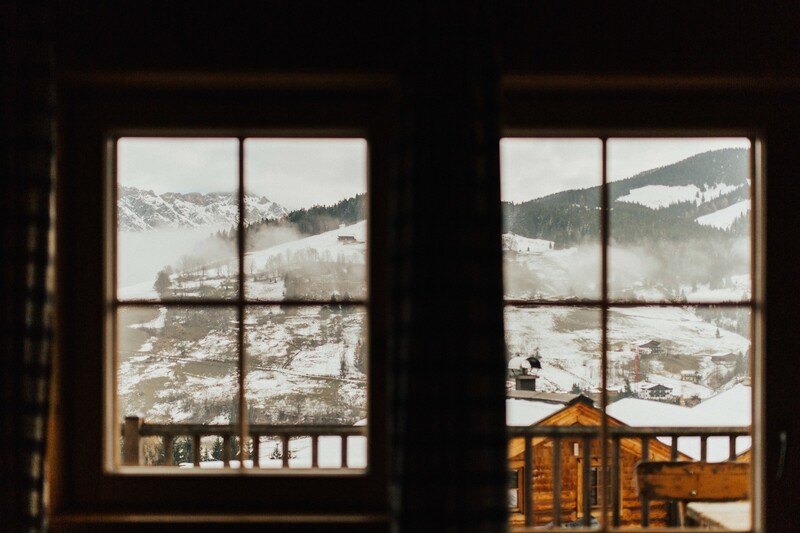 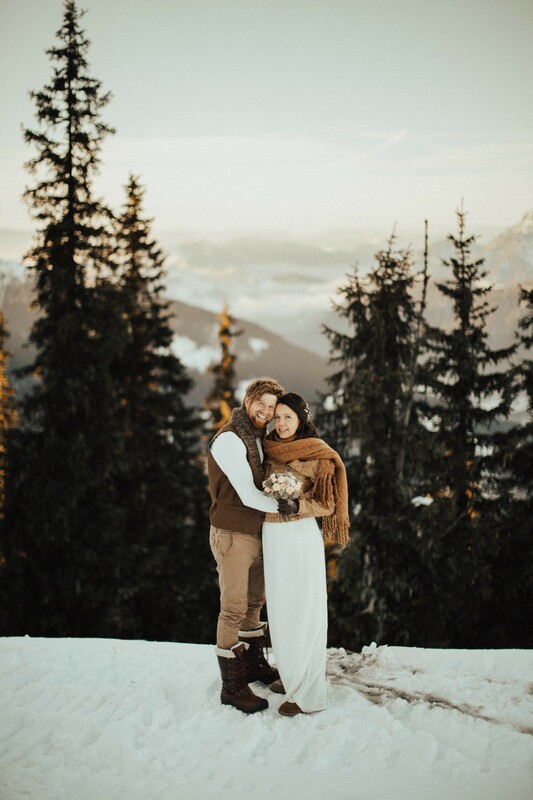 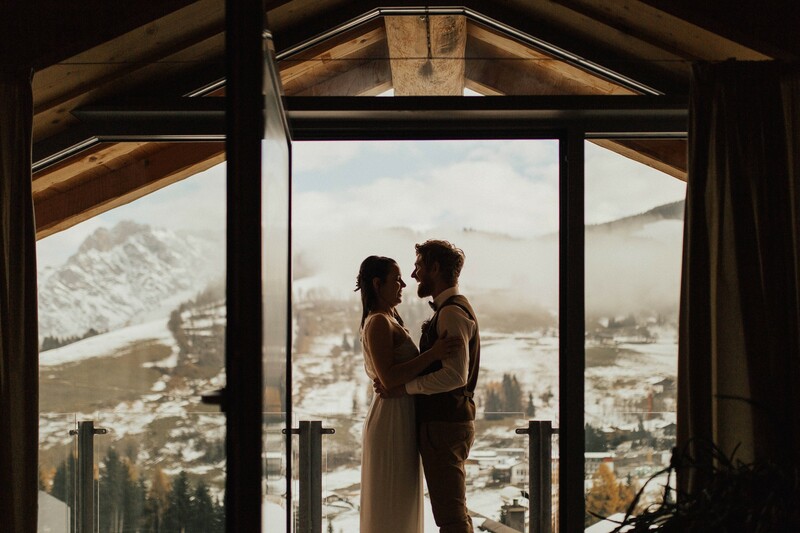 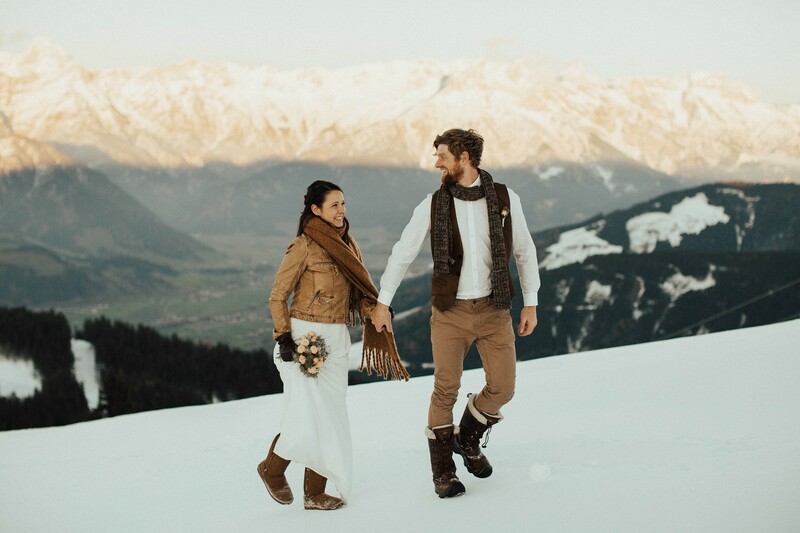 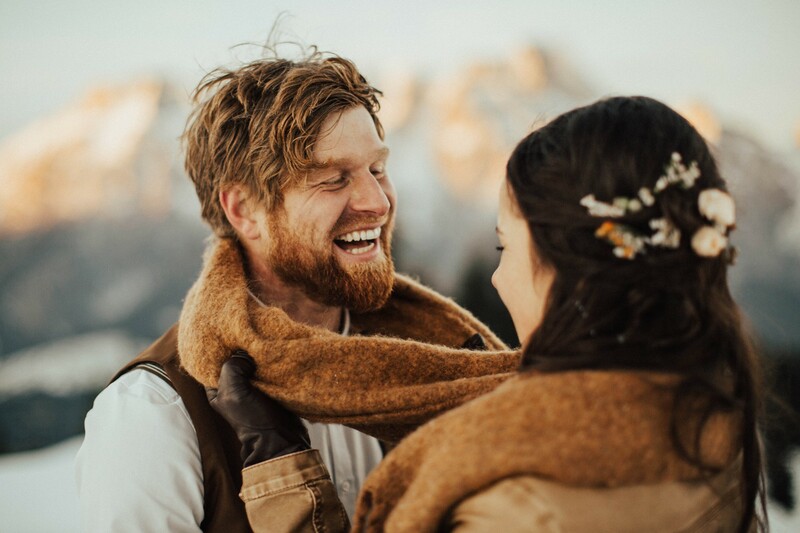 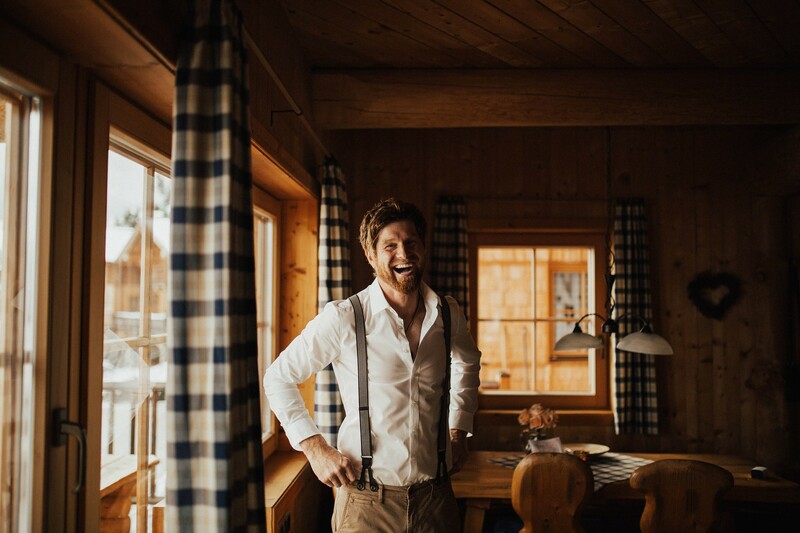 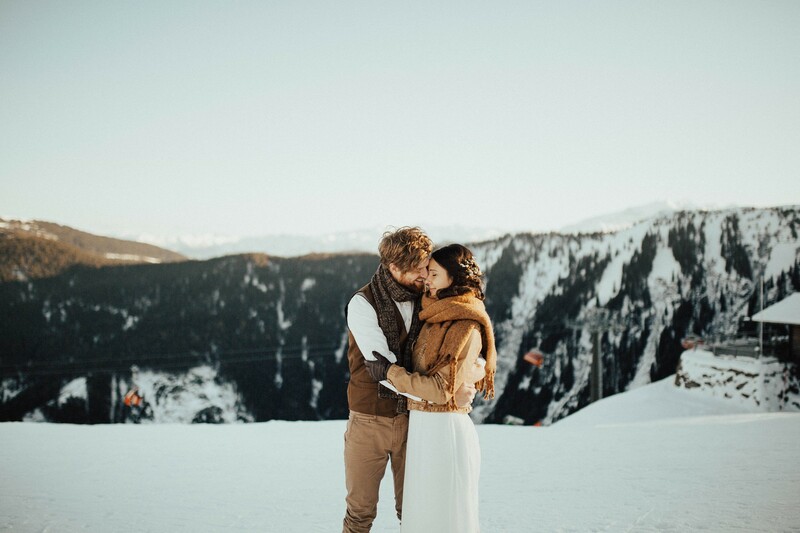 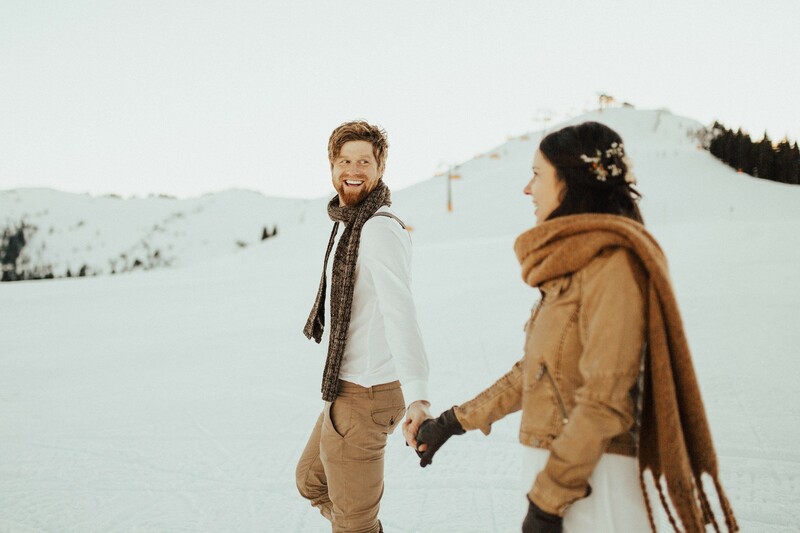 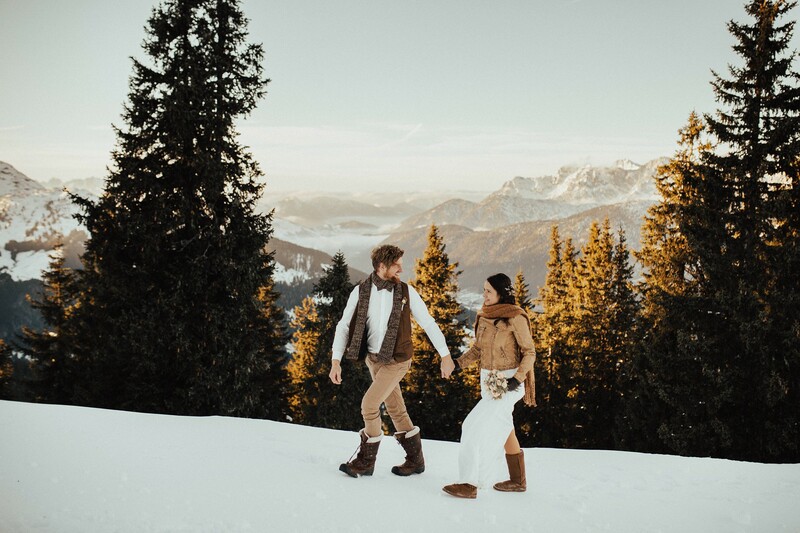 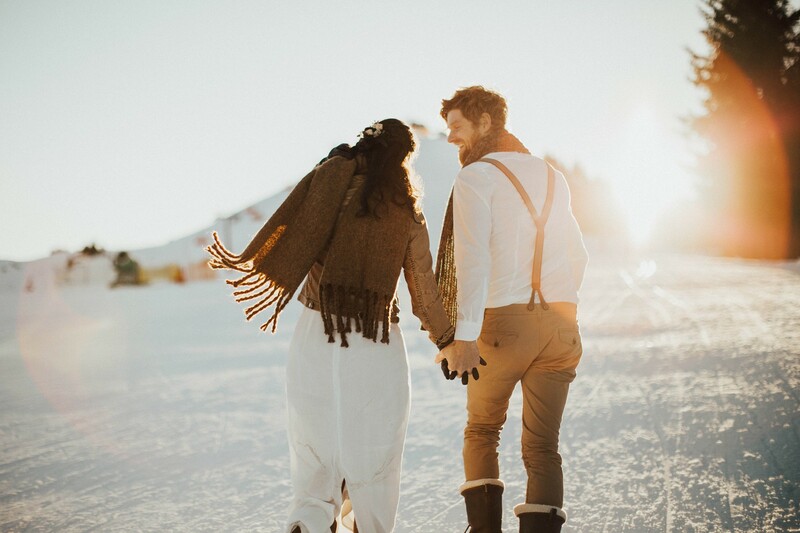 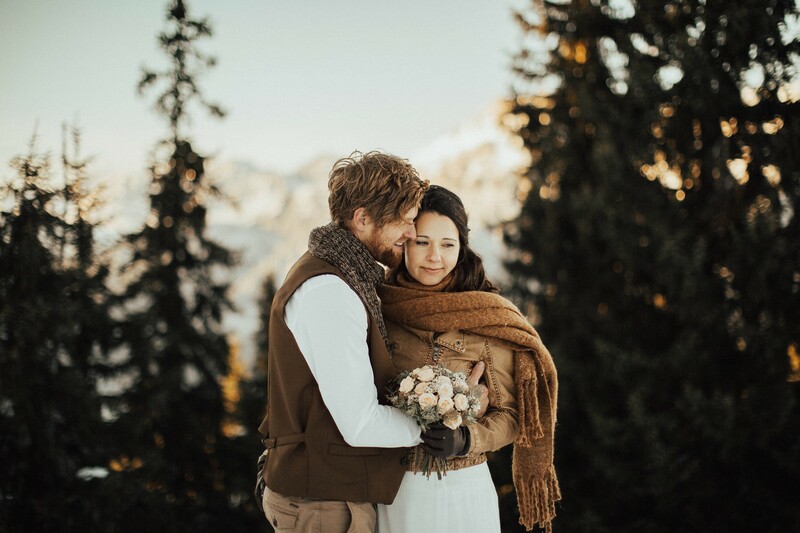 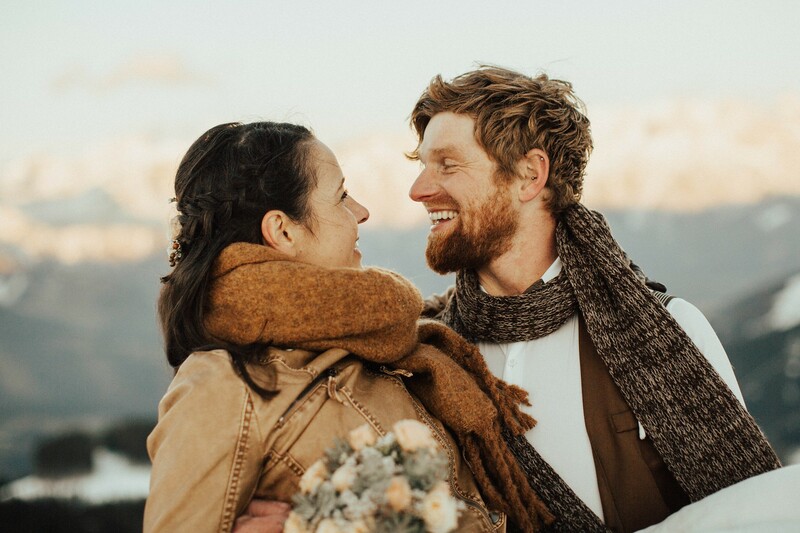 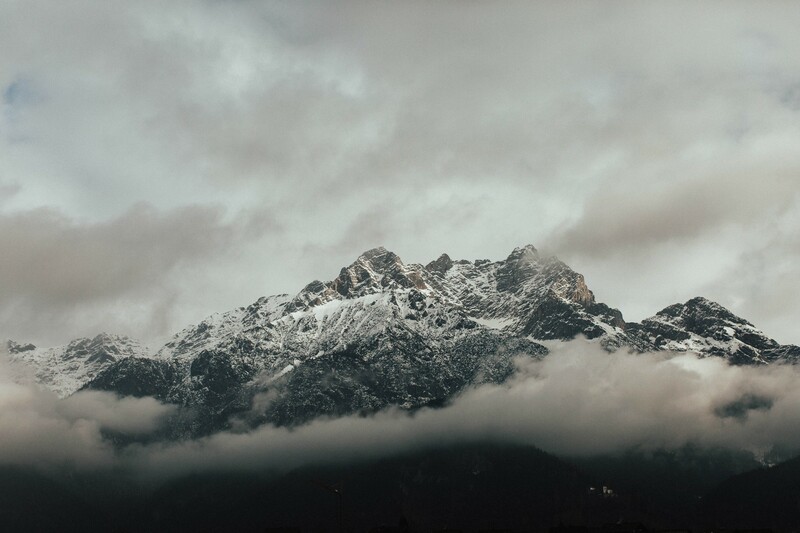 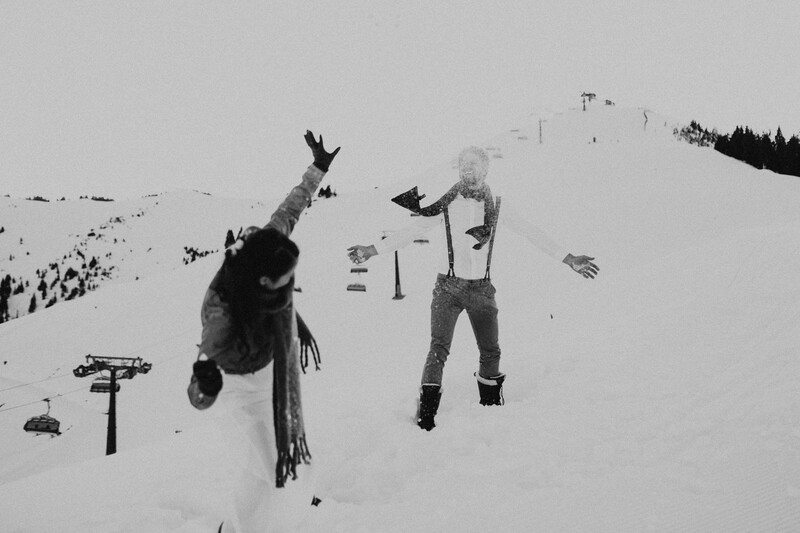 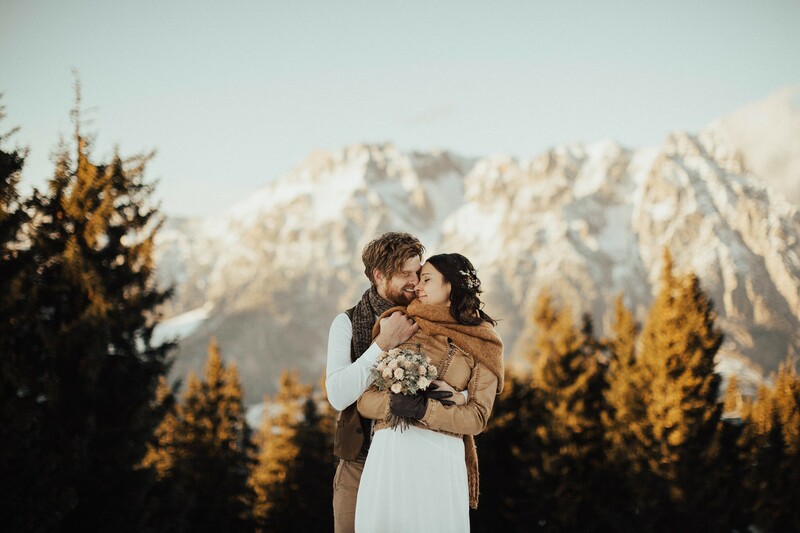 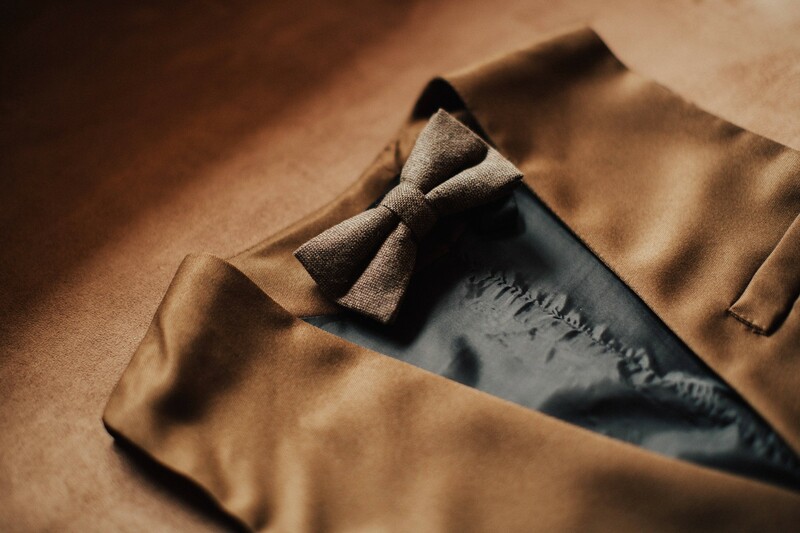 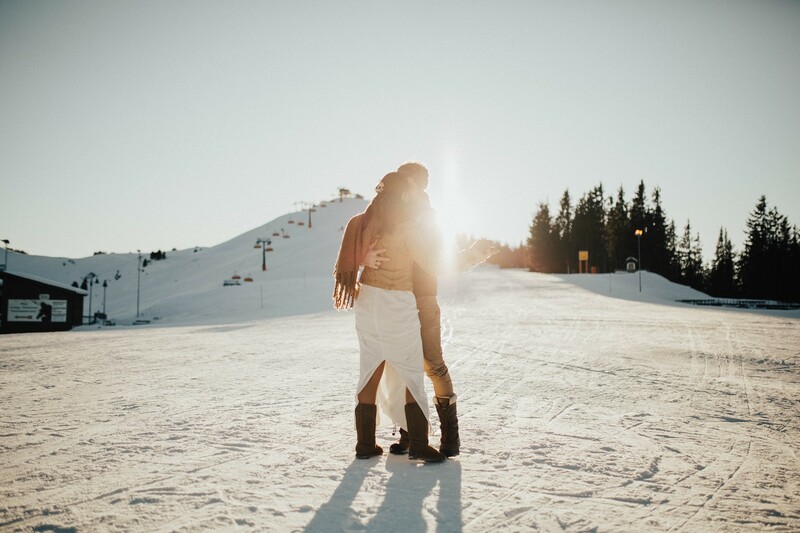 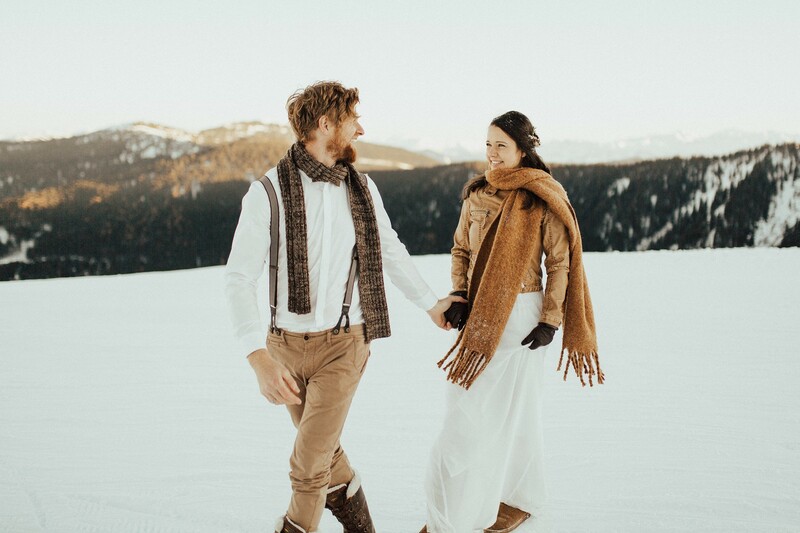 My first winter elopement in Leogang and man, what a wonderful one! 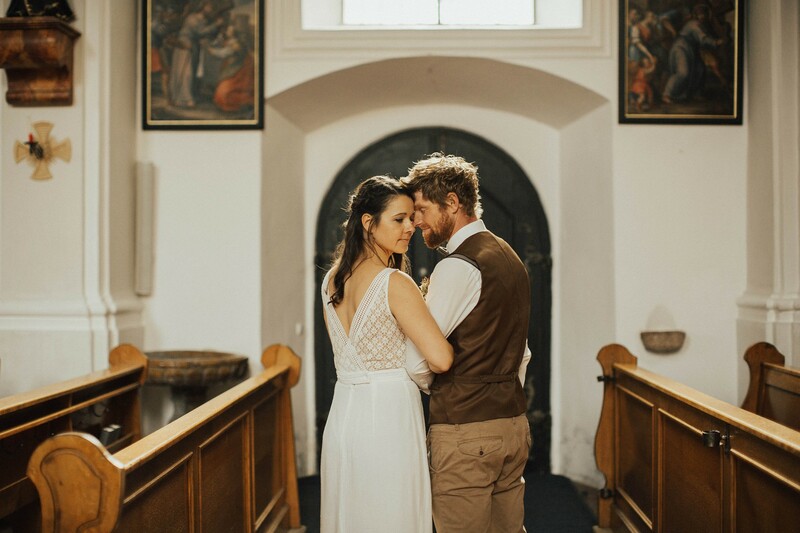 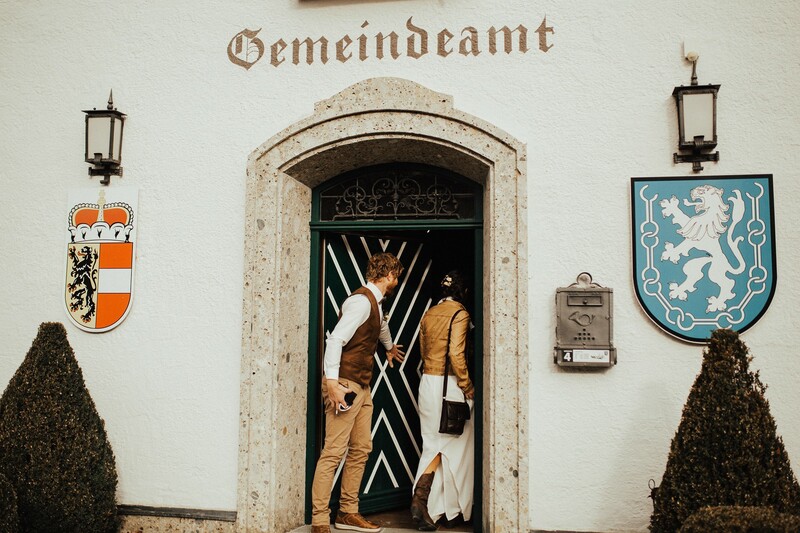 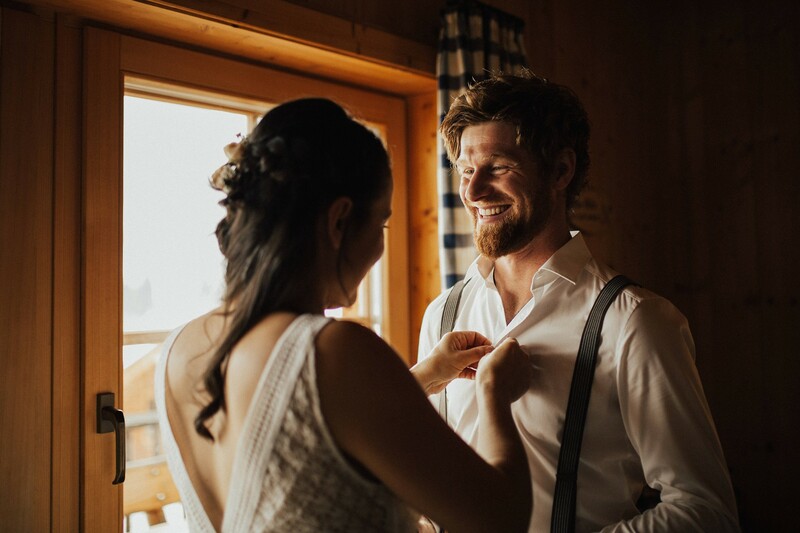 While most people decide to celebrate their wedding surrounded by friends and family, Carolin and Johannes decided to get married, just the two of them! 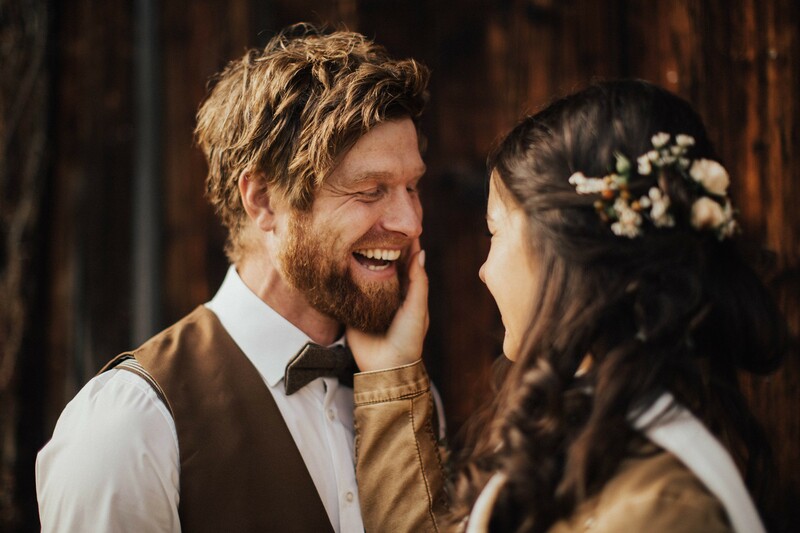 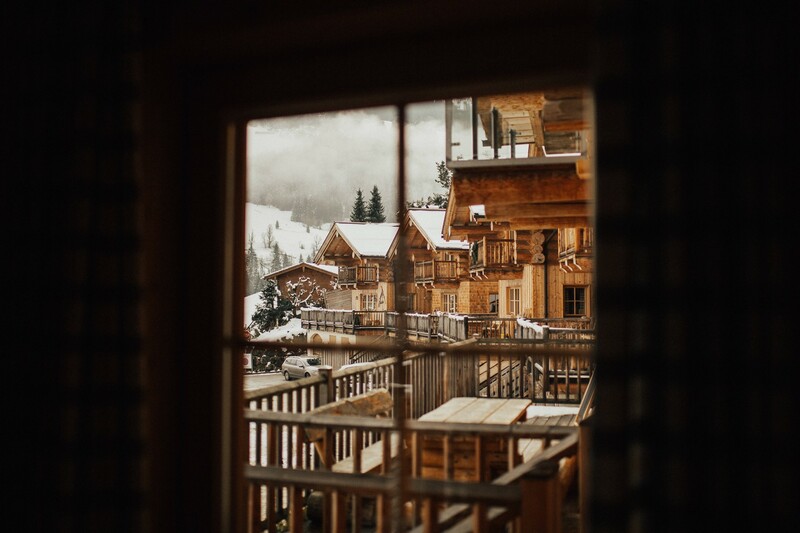 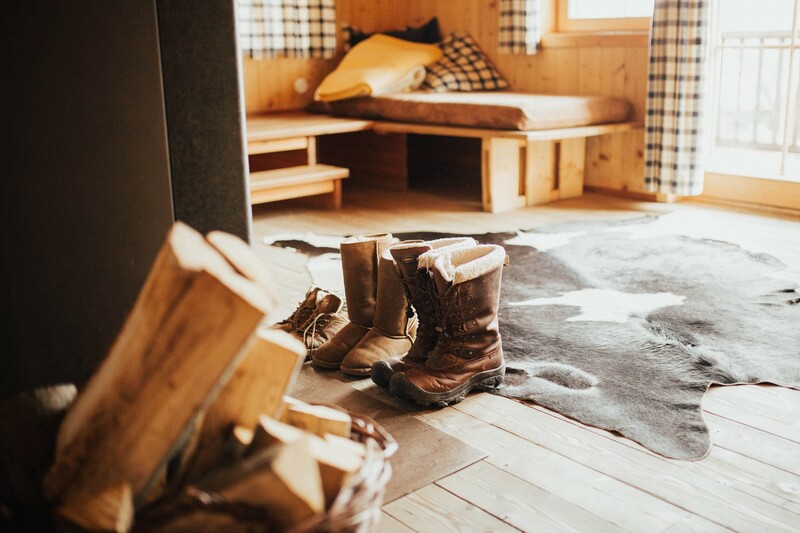 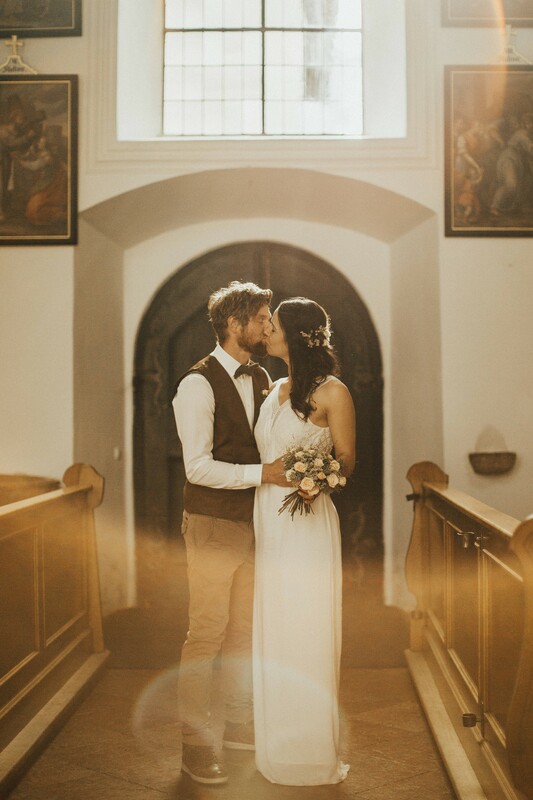 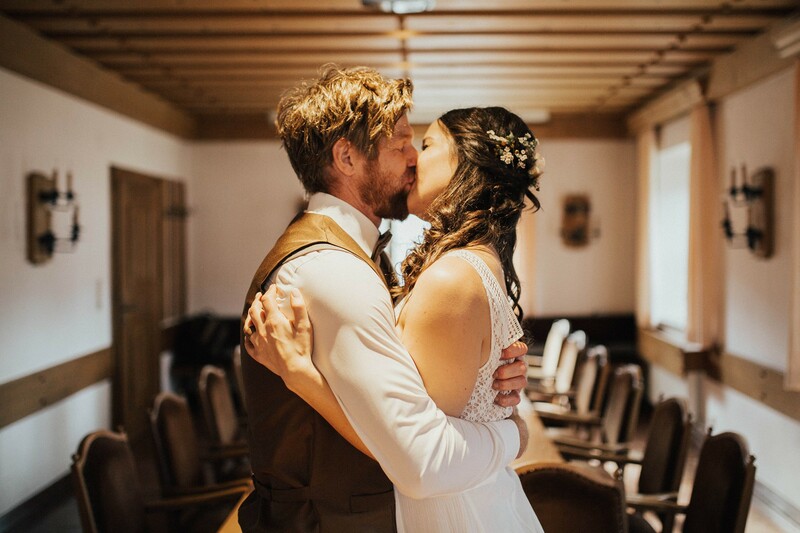 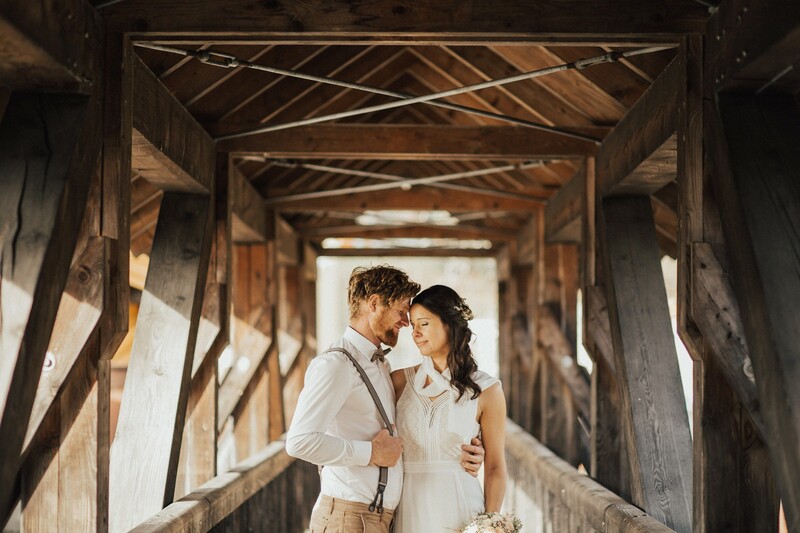 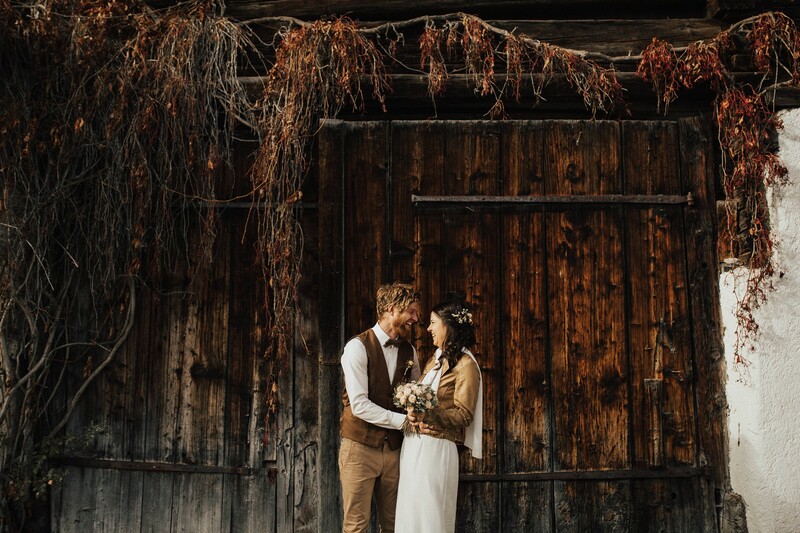 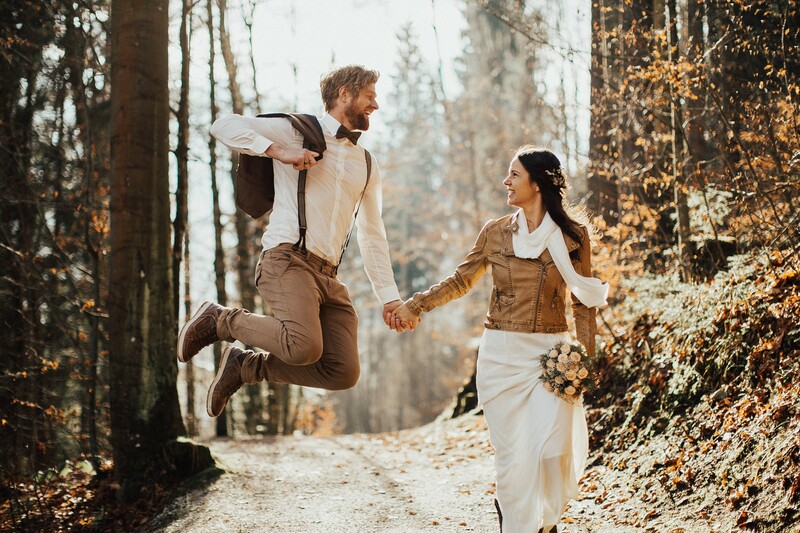 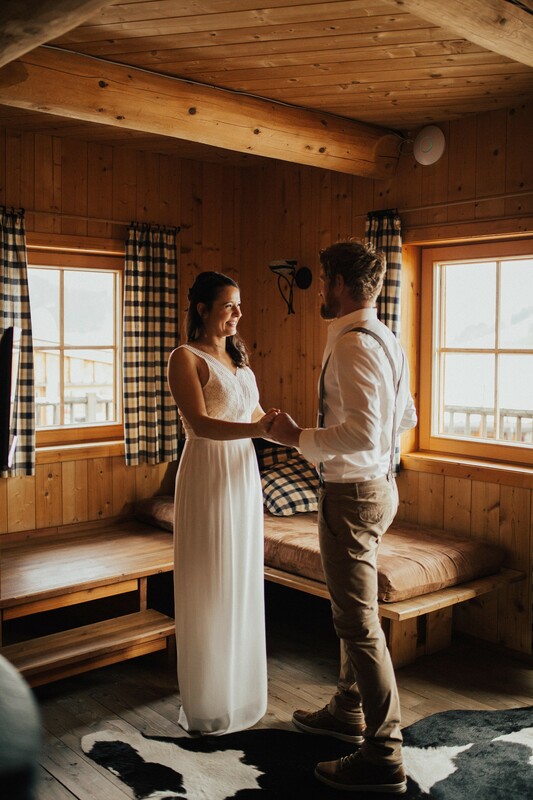 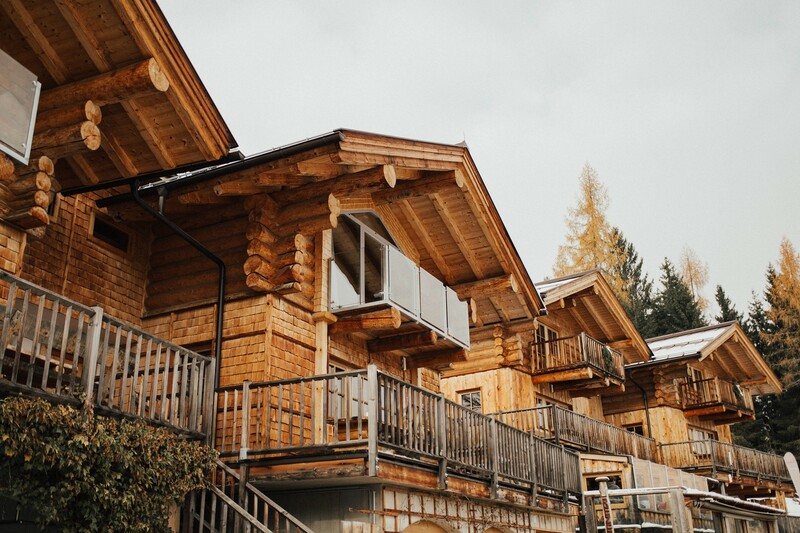 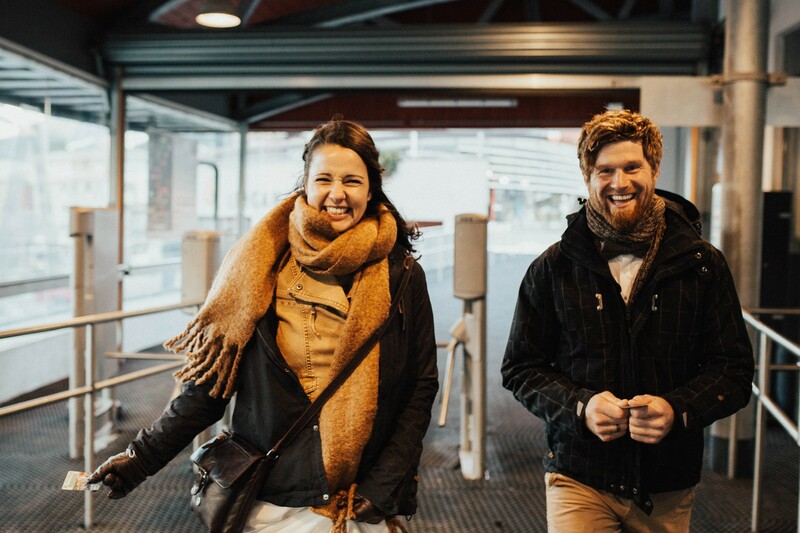 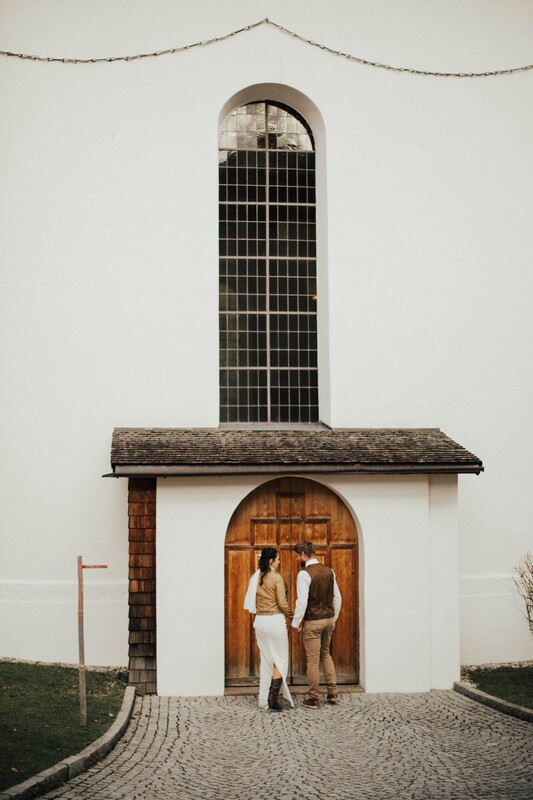 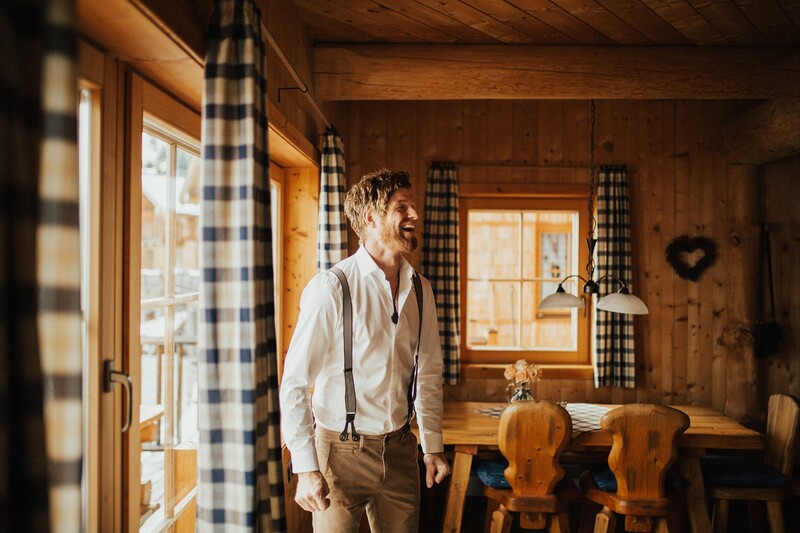 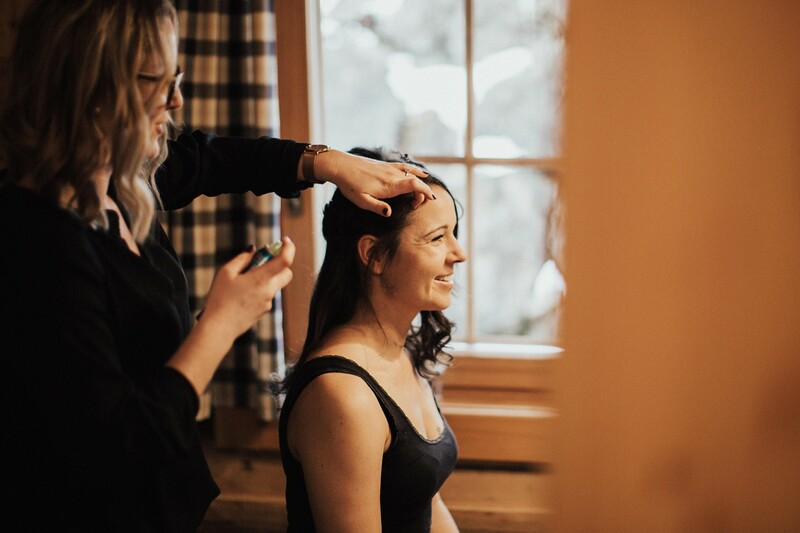 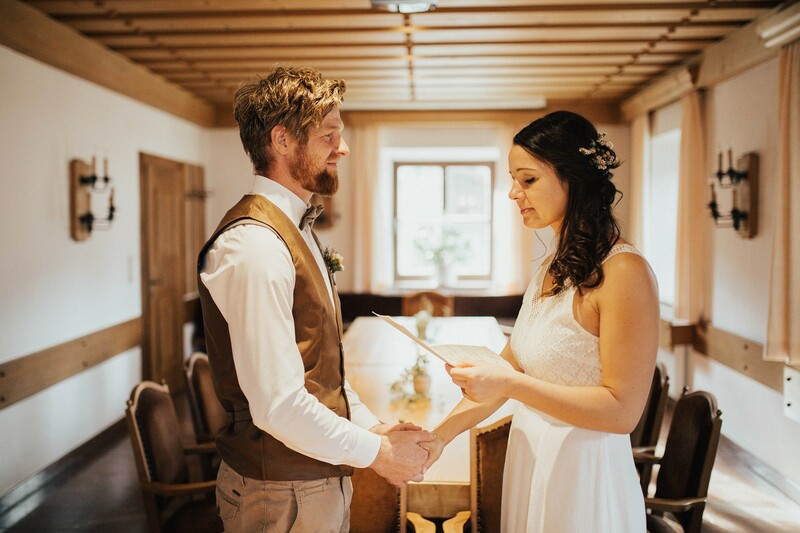 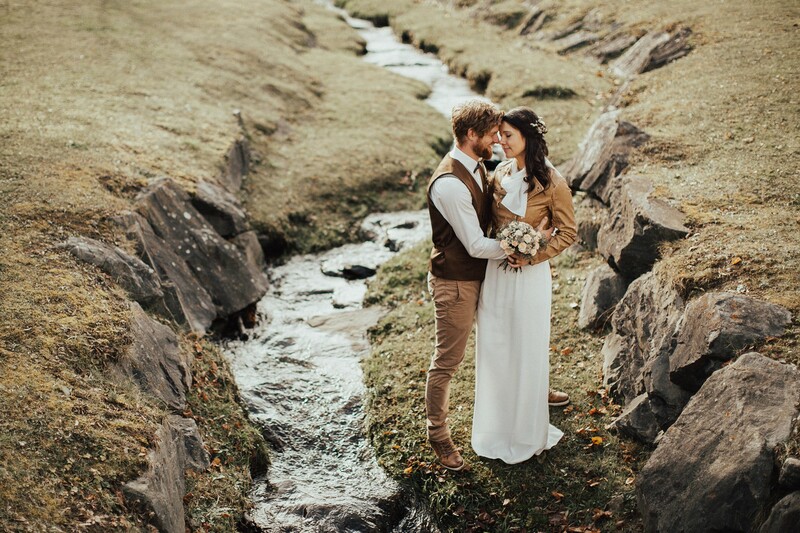 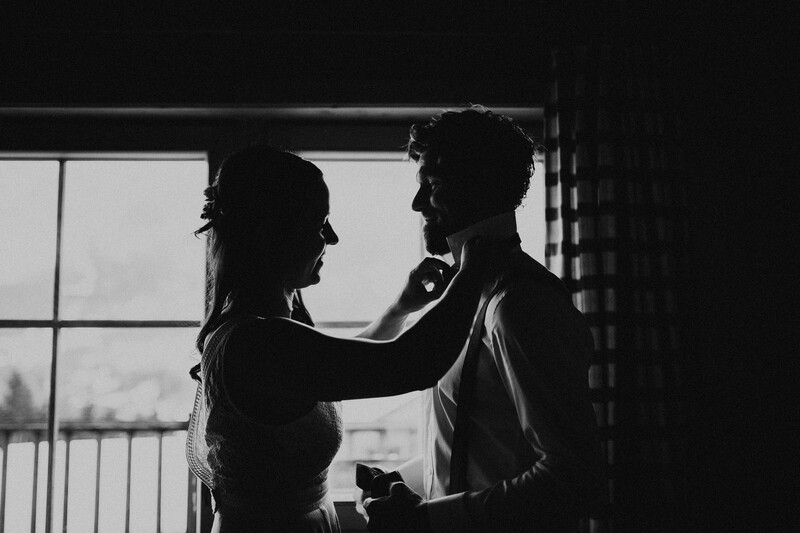 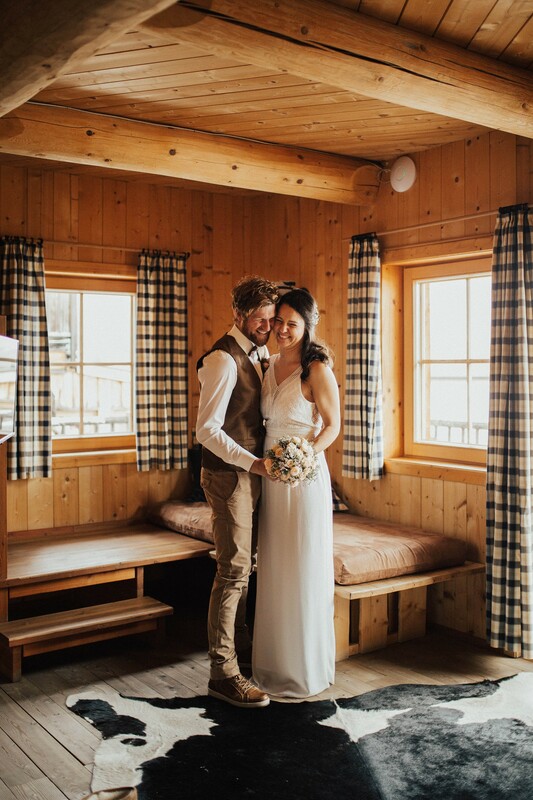 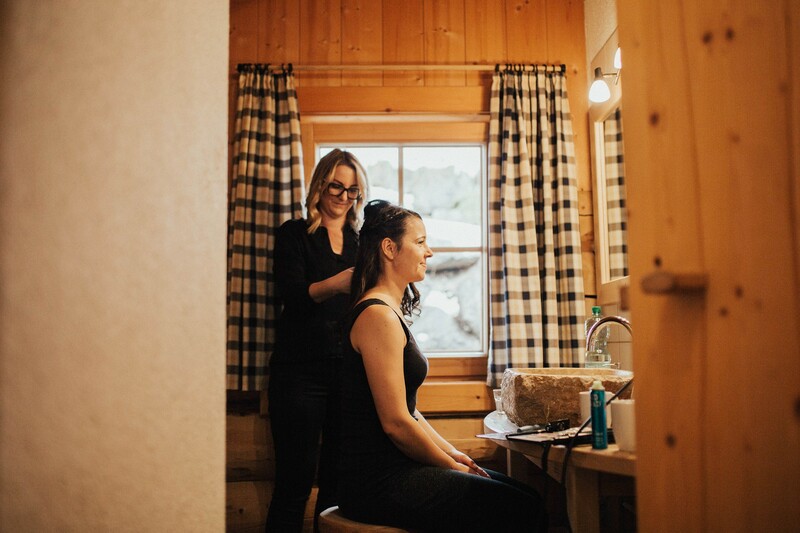 They spent their wedding weekend in a lovely cabin in the Austrian alps in Leogang. 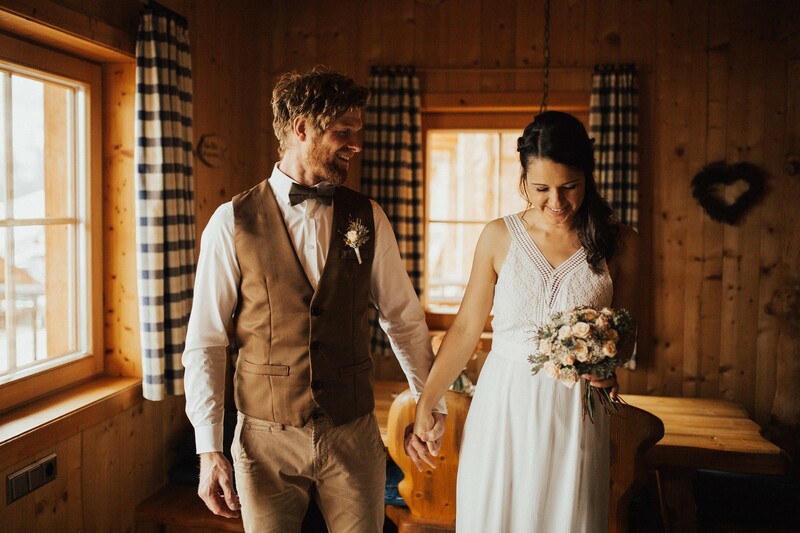 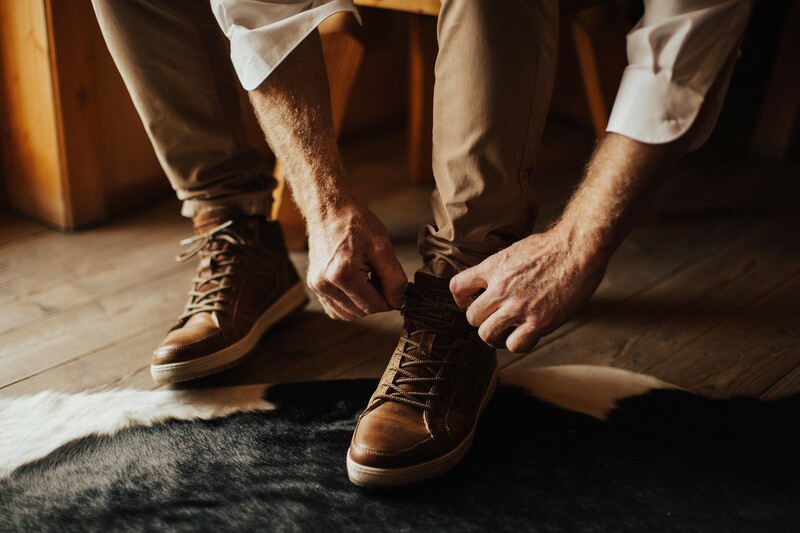 On their wedding day, they spent the morning in the cabin and got ready there. 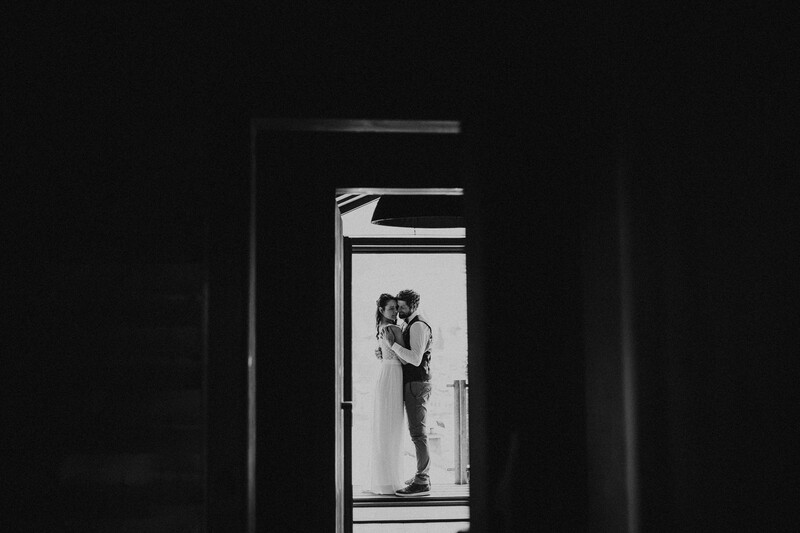 They showed me how special it is to get ready just some rooms next to your love. 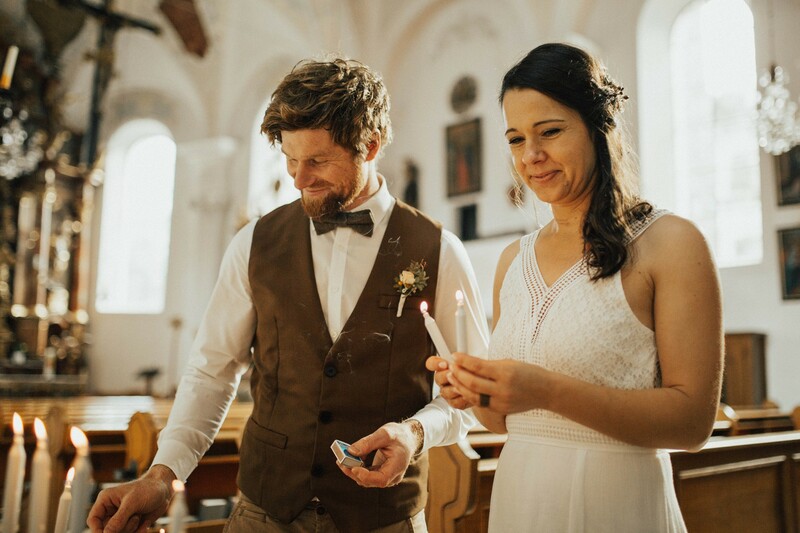 To all couples who consider doing the same: go for it it! 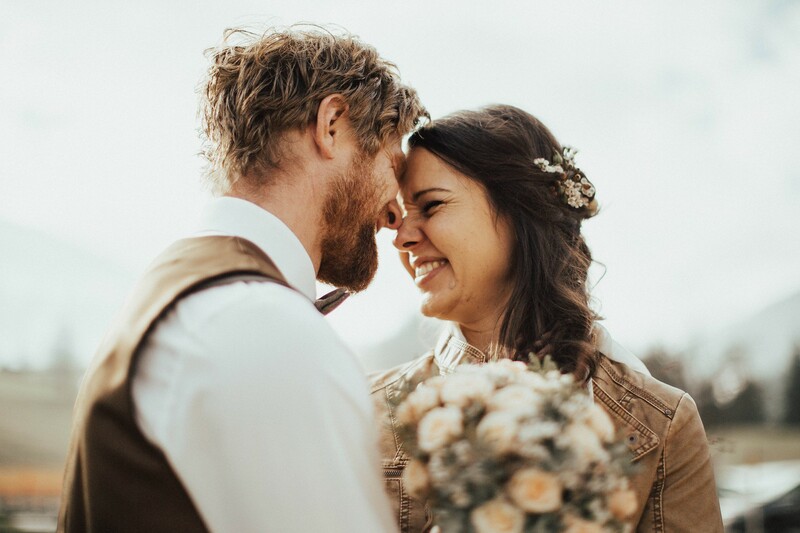 It has been such a wonderful experience to see their faces light up as they first saw each other and then continued to help each other to finish the details. 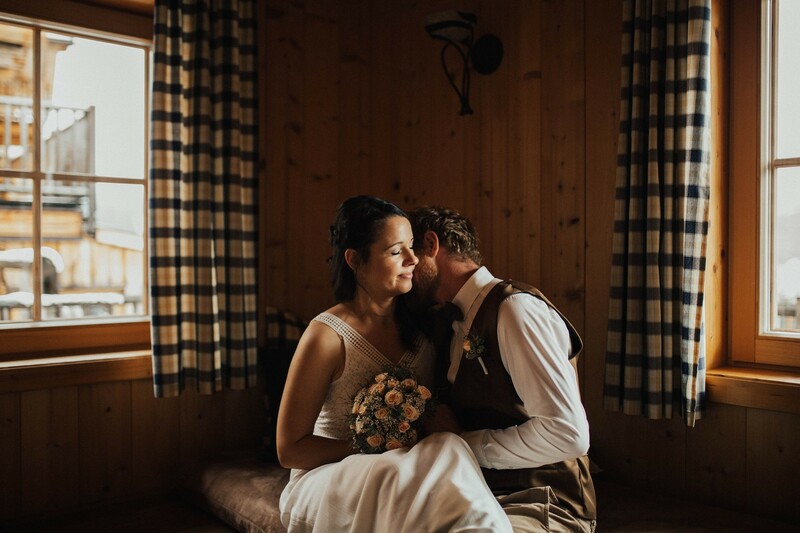 Their civil wedding took place in Leogang and though there were not many eyes in the room, not one of them kept dry! 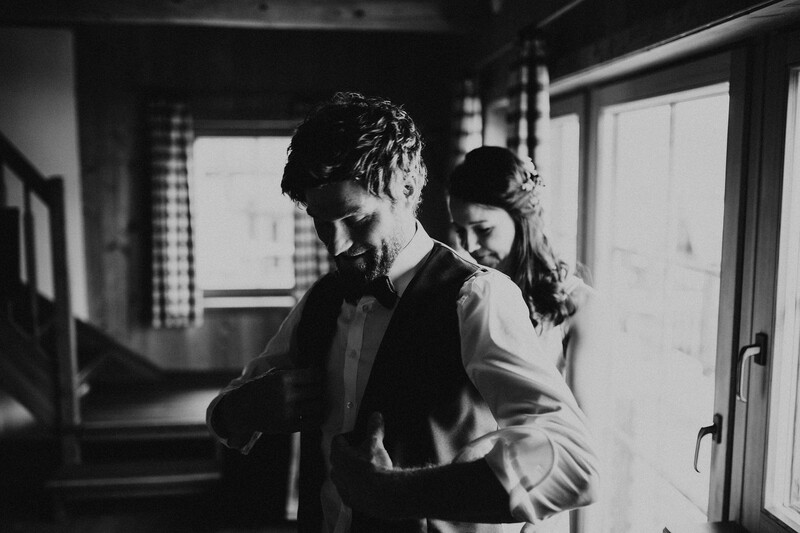 They were reading their vows to each other and I got to capture the most precious and intimate moments between them. 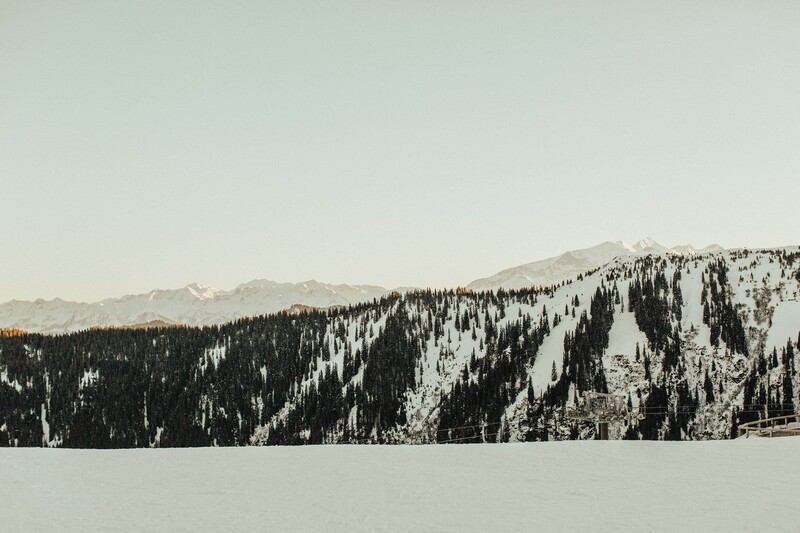 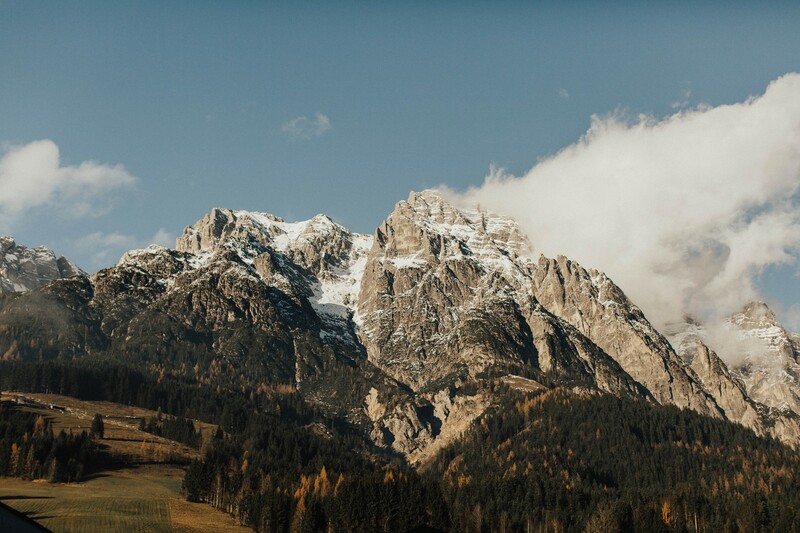 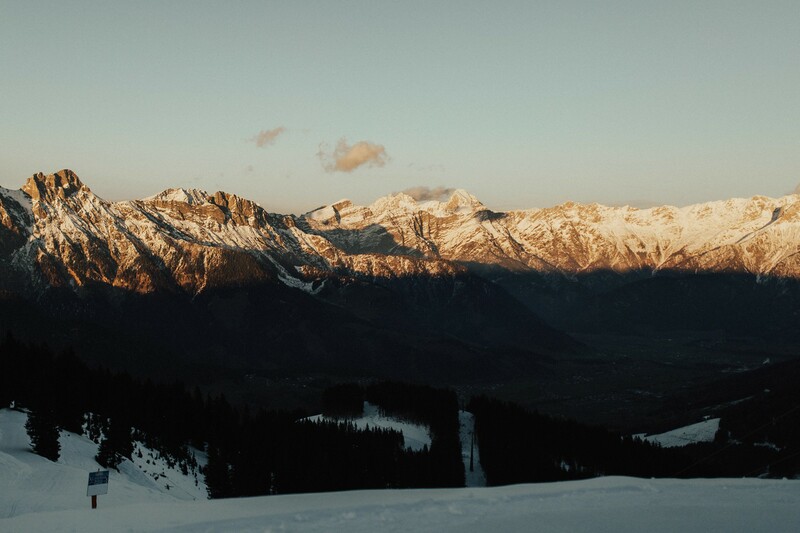 Later on, we took one of the last gondolas to the top of Großer Asitz as a last minute decision to catch the last sunrays, throw snowballs at each other and to just enjoy the silence only mountain tops can provide. 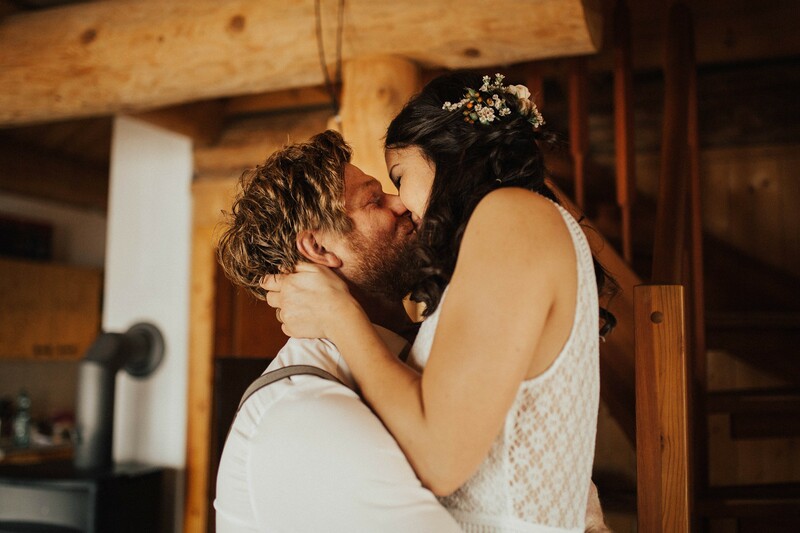 It would be an understatement to say that these two filled my heart… They completely overwhelmed me with their pure love for each other. 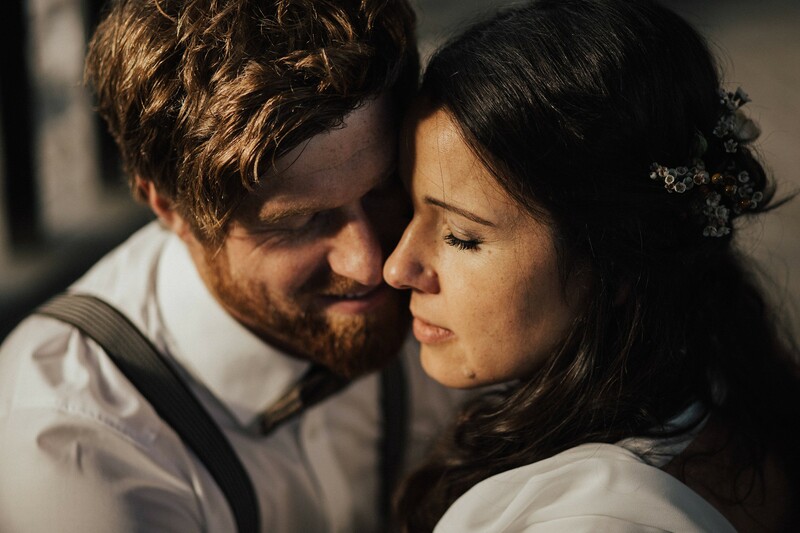 It was such an honor to be one of their only witnesses as they entered the bond of marriage! 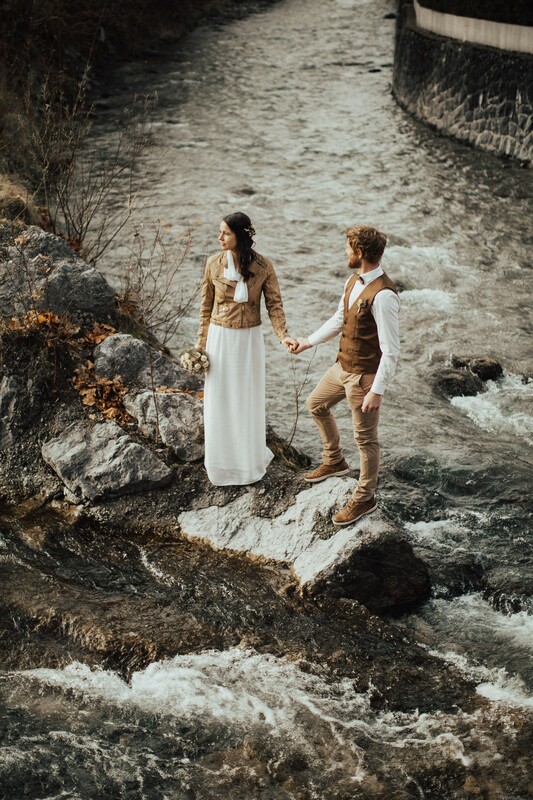 Follow along with my newest work!